Isn't this little guy so handsome! 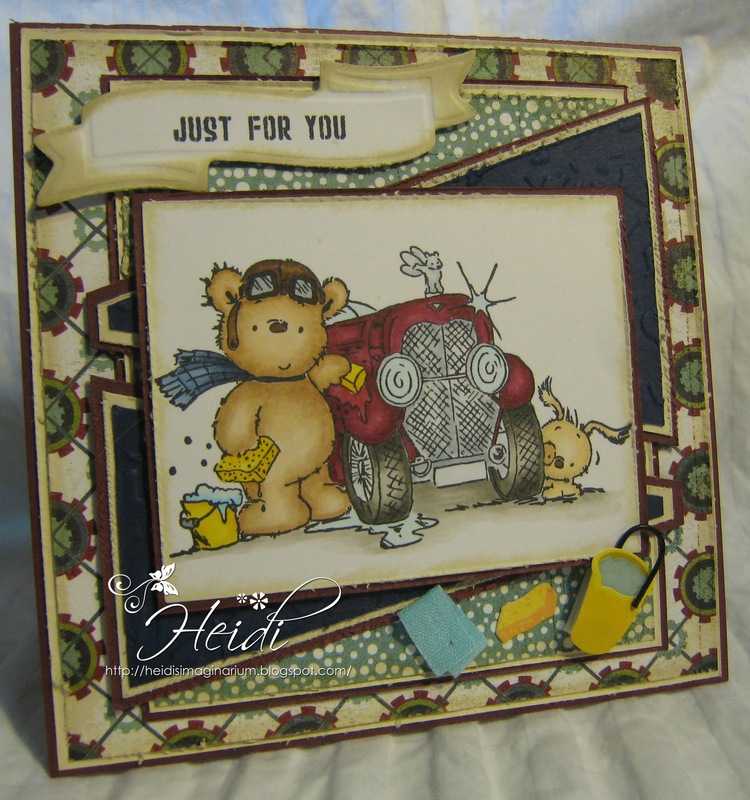 I am really trying to work on making nice cards for men/boys/car enthusiasts. It's a little tough when it comes to embellishments. I am exploring using stickers, gear dies, wheels used in model building. This one has some car wash stickers. 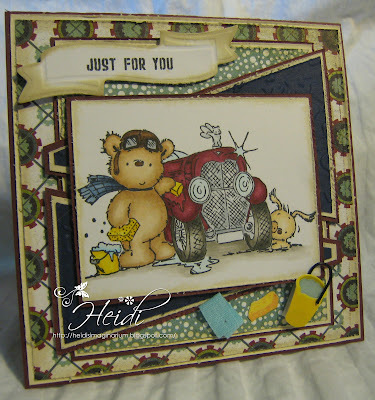 The sketch is from Sketch Saturday #148. Fabulous papers so suit this beautifully coloured image.